AFS Accountants has been providing accountancy and taxation services for over 20 years. The owners of AFS, Gary Pennington and Steve Garrett have been good friends since school, going their own way professionally before joining up in 2015. Gary has been a qualified accountant for 20 years, taking over AFS in 2002. Steve qualified as an accountant then spent over 20 years working in the finance departments of large corporates. In 2015 Gary and Steve decided to join forces with Steve joining AFS and using their similar and different experience to take AFS forward into its next phase of growth. There are 8 other members of staff, many of whom have been working with Gary since 2002. They provide the backbone of the company, bringing professionalism and a wide knowledge to the firm. We work with our clients to provide accountancy and taxation services together with commercial and practical support and advice. With the ever increasing legislative compliance and taxation burden being placed on businesses, it is increasingly important that you can rely on your accountant to take care of much of this, allowing you to focus on growing and enhancing your business. Our experienced and friendly team work with a wide range of clients. AFS have looked after my accounts for the last 8 years. What i like most is they get on with their job without constantly hassling me for information. Fuss free and generally save me money on tax. Would recommend without hesitation and have done several times. AFS have helped me and my business grown considerably over the last 10 years. They are always on the other end of the phone should i need advice and this has proved invaluable when running a busy small business with a high turnover. I have been dealing with the team at AFS Accountants now for 14 years and would like to say what a sterling service they have provided in that time. They have guided us unerringly from start to present with solid advice and information. I would not hesitate to recommend this company. AFS were instrumental in supporting us in the set up of Interoperability (UK) Ltd. Since that time Gary and the team have been extraordinarily helpful in managing our small businesses accounts providing timely and effective advice in all accountancy areas including the fixed rate VAT scheme. As someone who only had a personal history of PAYE I was a complete novice in the sometimes complex world of HMRC, however, I have complete confidence in AFS managing our accountancy burdens! 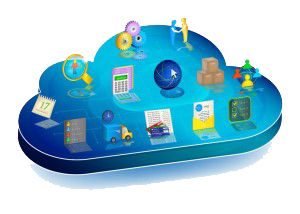 AFS is a fully computerised, cloud based business with all filings done electronically to avoid any problems with postage. With a highly skilled and dedicated team of 10 we are dedicated to giving our customers the best service available. We have a wealth of happy clients and we'd like to help you grow your business and manage your finances most effectively. Call today to see what we can do for you and your business.